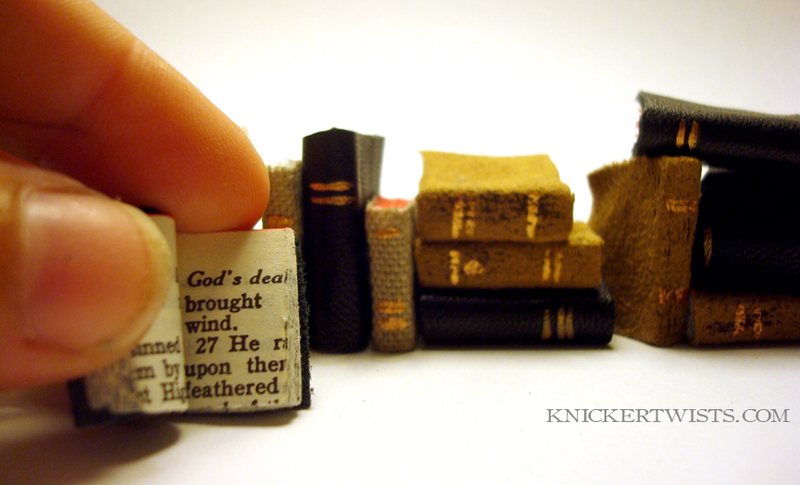 Pixie Hill: More small books... no, really. 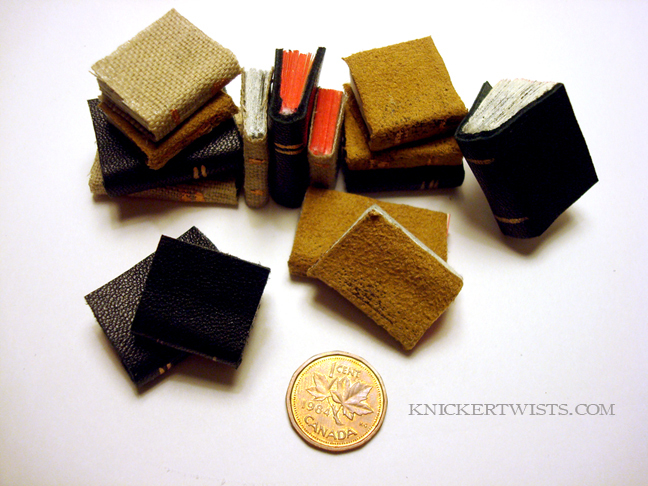 More small books... no, really. 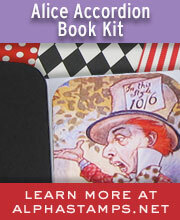 The books have leather, faux suede, and fabric covers. They have real pages inside and can each be opened up. 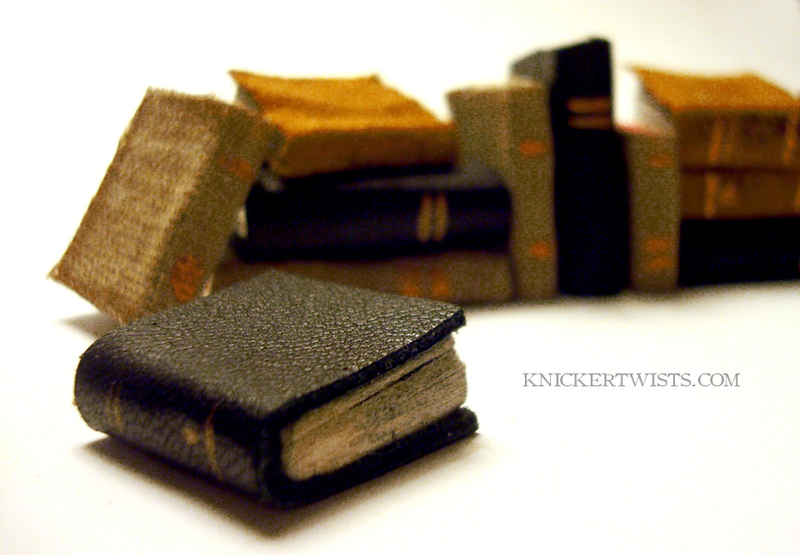 Although these books are teeny when I put them in the house I realized they were too big! ... and they are even smaller. Holy moly! These are fantastic! All your work is great but these are fantastic! Must have taken a lot of patience. 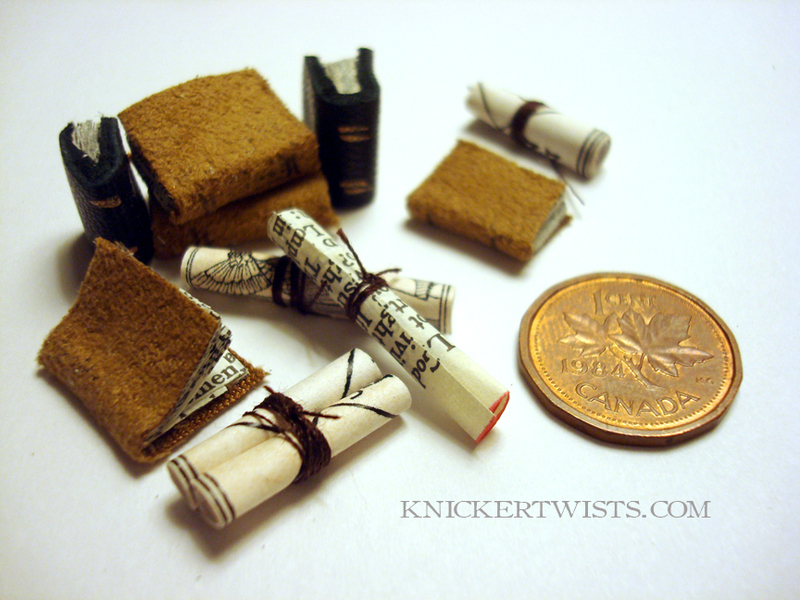 Your ability to make bitty things is amazing. I'm in awe. You're amazing! 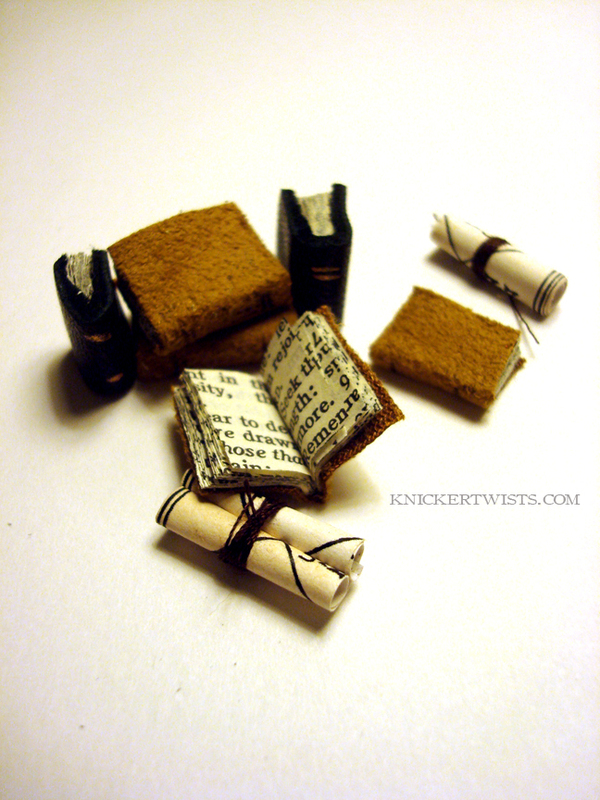 I LOVE LOVE LOVE those itty bitty books! Wow! According to my boyfriend being a girl makes me a sucker for anything in miniature purely because its so CUTE! I think he is right for once. These are amazing and I'm now dying for a dolls house purely so I can have lots and lots of tiny things. Oh my! I leave fore vacation and look at all the things I missed! These are amazing! 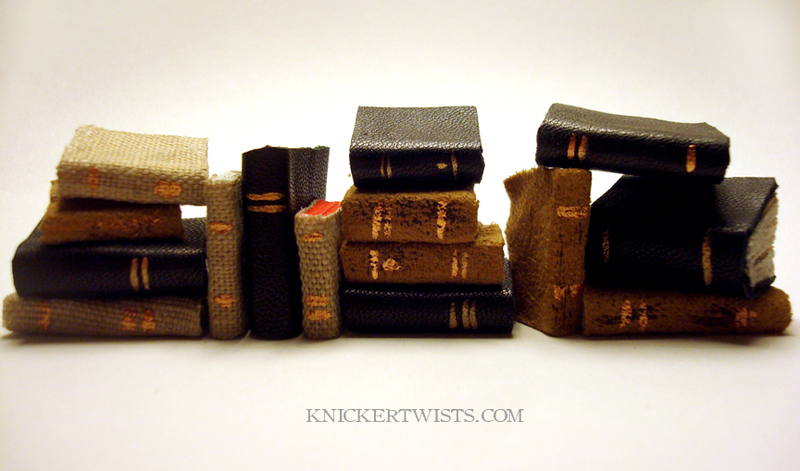 I'd love a book pendant like this! So cute!